AD - The products featured in this post were kindly gifted to me by Nivea but all opinions are my own. Mother’s Day is always a day when the special ladies in your life deserve to be spoilt and this year is no exception. I love sharing my passion for skin with my mum and showing her how important it is to take some time out for herself once in a while as she gives so much of her time to others. 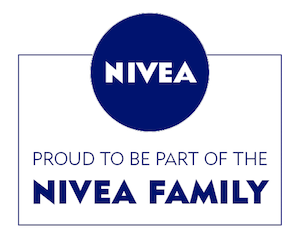 This year I’ll be spending some pamper time with my mum and, thanks to Nivea, I’ll be using some of their most loved products to treat my mum to a relaxing facial so she can feel fresh faced and chilled for the week ahead. After thoroughly cleansing and exfoliating the skin (I like to use an oil based cleanser to nourish the skin and get deep into the pores to remove any makeup) I’ll be applying the Nivea Sleeping Melt in Mask for around 20 minutes to really hydrate my mums skin and give it that glow. You can obviously apply this as an overnight treatment but for this facial I wanted to use it as a ‘pick me up’ treat for radiant skin. This also has Q10 which acts as an antioxidant and ageing defence for the skin, encouraging collagen production. Sticking with the Q10 theme, once the mask is removed I’ll be massaging the Q10 Power Replenishing Serum Pearls into the skin which also contains hyaluronic acid (everyones wonder ingredient for a quick moisture boost!) I’ll be sure to massage this into the skin (rather than just applying it quickly) to boost circulation and help give my mums skin an even tone. Finally, I’ll be using the Hyaluron Cellular Filler Day Cream SPF15 as a final step and barrier for the skin. Just a light layer will be enough as the skin will still be absorbing the serum. This has been shown to activate the skin cells, helping to firm and replenish the skin. It also contains SPF, ensuring the skin is protected from UV rays and prevents sun damage that can cause the skin to age. So, that’s how I’ll be prepping my mums skin for Mother’s Day but, most importantly, just giving her that much needed down time that she deserves.